"We're just here to relax." No spoilers here: we love to travel. Exploring far-away places is one of the foundational layers of our relationship. 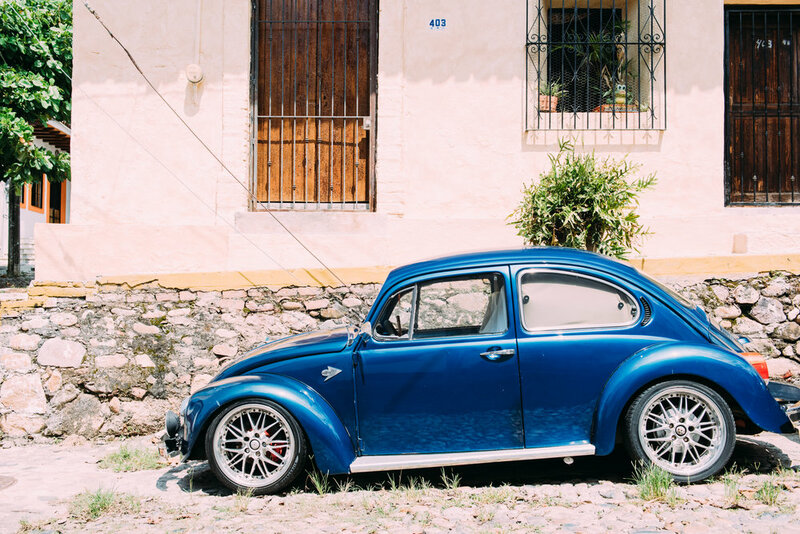 In the early years, we set the standard for the travel style that suits us best — a funky car, a sturdy tent, a cooler, and enough money for gas and food to keep us on the road for at least a few weeks. 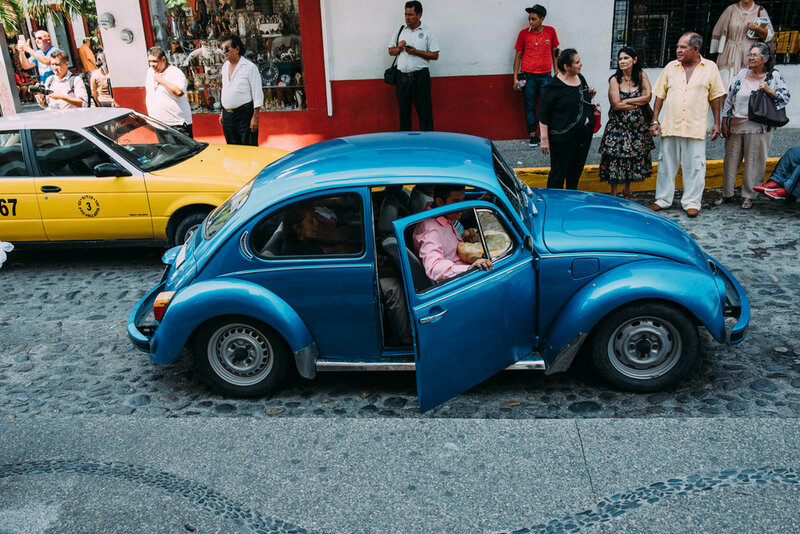 With the standard set all those years ago, there've been a few kinds of travel that we've steered clear of, drawing the presumptive conclusion that we're "not the type." One of these kinds is the all-inclusive resort: in my wary mind, a gluttonous and greasy overindulgence of mediocre food and weak drinks in a corny setting smeared with cultural mockery and good intentions. Loud and chaotic, the resort is likely full of drunk Americans behaving badly, and guests are saddled with pressure to participate in humiliating, group-oriented events. Luckily, I was way off. 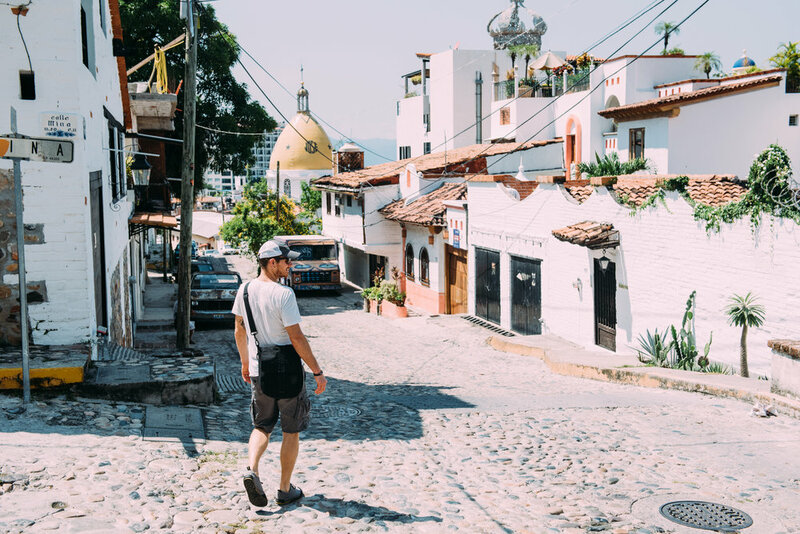 Earlier this month, we gave ourselves a break from the grind with a long weekend in Puerto Vallarta, a town we hold nearly and dearly for reasons I'll mention in a bit. A too-good-to-pass-up Southwest Vacations offer led me to book four nights at La Grand Fiesta Americana, a name that translates to "The Big American Party." (Gulp.) "It'll be fun," I thought, "We'll embrace the ridiculousness and enjoy ourselves." While there was plenty of enjoyment at La Grand Fiesta Americana, there was zero ridiculousness. The resort — an adults-only establishment — is clean, serene, and quiet, perched on a cliffside at the southern end of Banderas Bay. Only open about a year and a half, the resort is still new and gaining exposure; while we were there, occupancy was only at (a blessed) forty percent. The rooms are beautiful, the food is delicious, and the service is meticulous and kind. 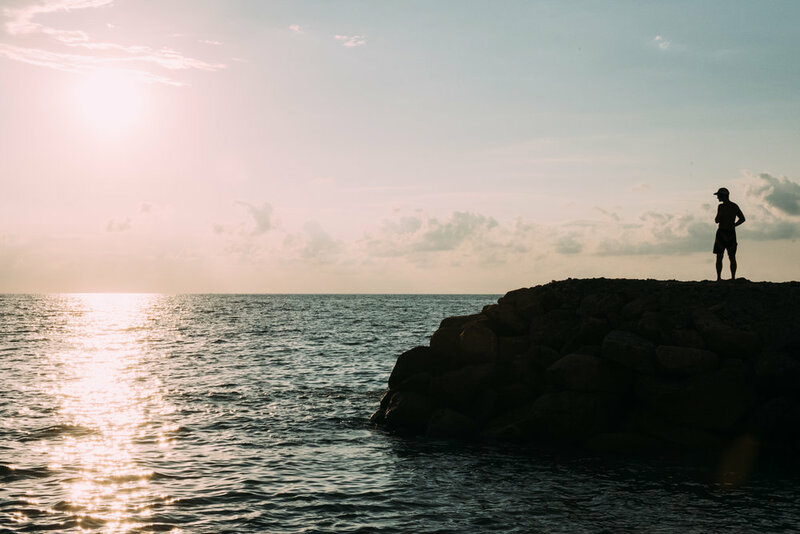 Rarely do we actually relax on a vacation; we're too busy zipping around visiting sites, taking day trips or seeking out that one restaurant I heard about. This time? We sat. We ate. We drank. And we sat some more. On tropical vacations, couples are often asked the special occasion behind their visit: an anniversary, a honeymoon, a babymoon. Our answer? "We're just here to relax." And that we did. 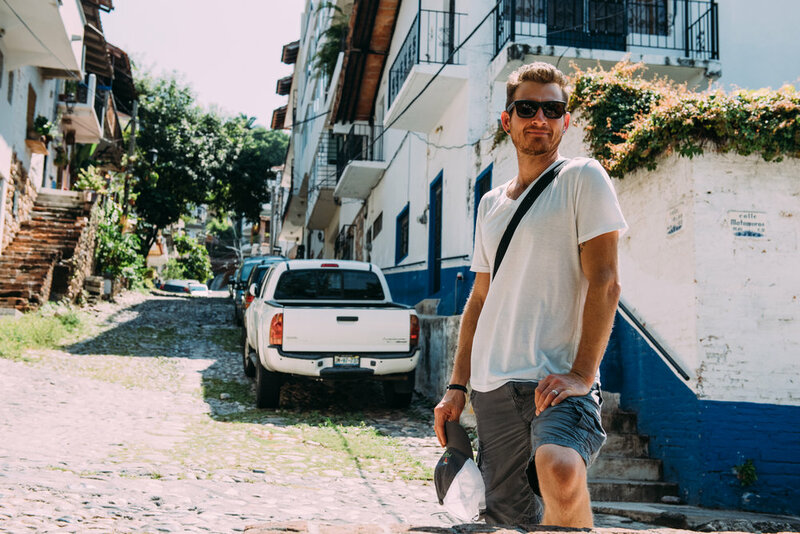 On one of our days, we paid homage to our vagabond roots by wandering the streets of Puerto Vallarta, eating questionable street food ladled from a bucket, haggling for a pair of huaraches, and visiting our old haunt, Gaby's. We even contacted our — ahem — raicilla dealer, Muriel, who sells his homemade Mexican moonshine while he tends bar and waits tables. If you happen to go to Gaby's, ask for a sample of the raicilla. Once you've regained consciousness, ask Muriel if he's got any bottles to sell. 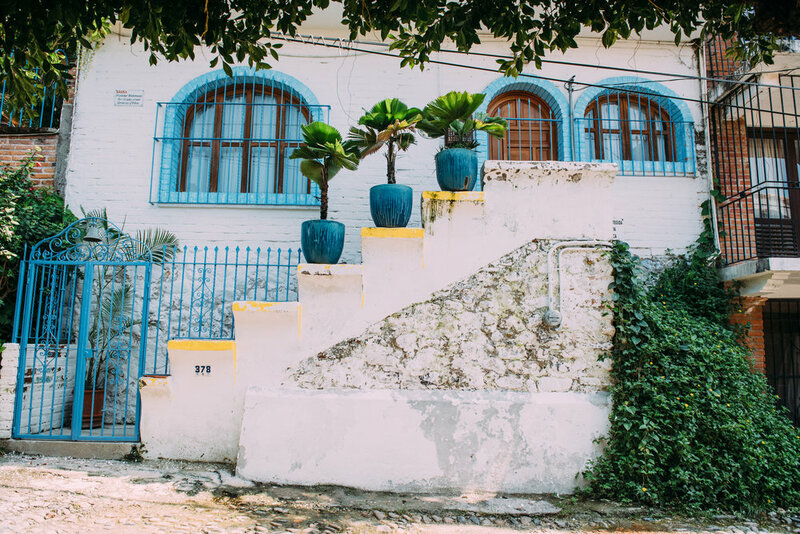 Puerto Vallarta is a city that holds a special place in our hearts. 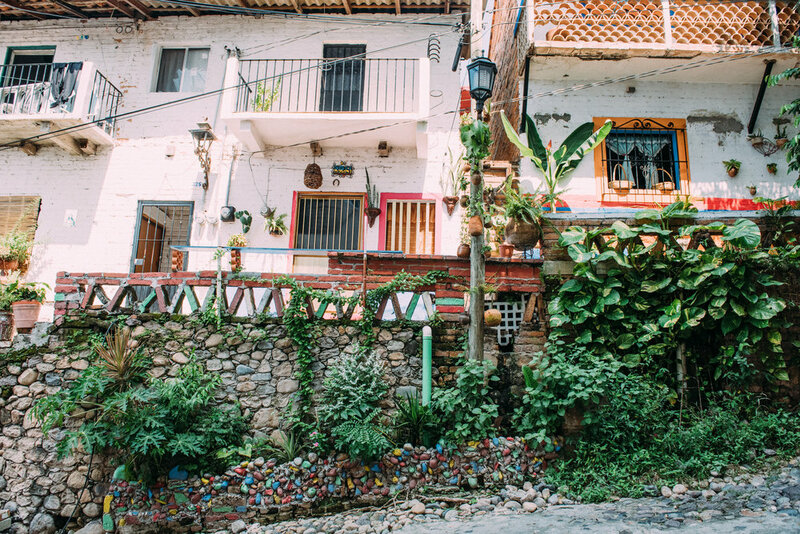 Just 45 minutes south of San Pancho, the village where we spent six weeks last winter, Puerto Vallarta means a lot in terms of shifts in life and love. The last time we visited the city was on my 35th birthday, when we drove down for the day to wander, shop, and eat. Then, we were just 72 hours from leaving the comfort (and confines) of our tiny San Pancho apartment, venturing back onto the road and into van life. At the time, I was unsure of what the future held in many respects. 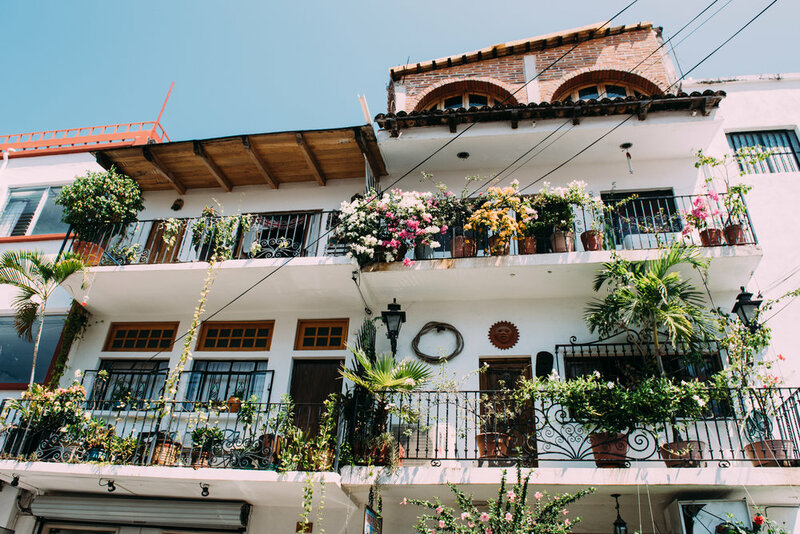 So much has changed and evolved since that era; we’ll always consider Puerto Vallarta my city of clarity, focus, and reconnection. Check out my Trip Advisor review of La Grand Fiesta Americana if you're curious about the ins-and-outs of the resort.